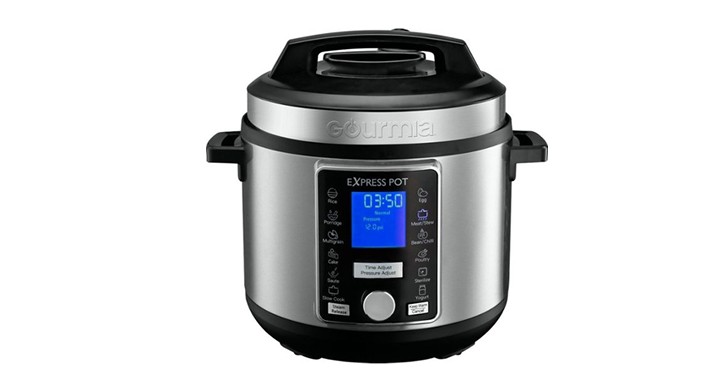 Gourmia 6-Quart Pressure Cooker with Auto Release – Just $59.99! Was $199.99! Are you looking for a good deal on a pressure cooker? Want to make something fun while you spend less time in the kitchen? Reduce wait times with this 6-quart Gourmia SmartPot pressure cooker. Its multifunction capabilities let you slow cook, saute, brown or steam dishes, and the 13 preset programs ensure delicious soups and sides are just a touch away. Check out this awesome deal! Grab it today before it is gone! Get on over to Best Buy and check out the deal on Gourmia 6-Quart Pressure Cooker with Auto Release! Just $59.99 – today only! First BarkBox Only $5.00! Plus FREE Extra Toys! Surprise your pup with fun new goodies every month! 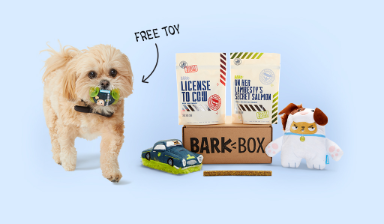 BarkBox is offering an awesome new deal right now. Get your first BarkBox for only $5.00 when you sign up for the 6-month plan! Plus, you have the option to get a FREE toy this week! Each monthly BarkBox contains three original toys, 2 full bags of natural treats, and a delicious chew. Toshiba 43” LED 2160p Smart 4K UHD TV with HDR – Fire TV Edition – Just $199.99! Save $100.00! Looking for a deal on a new TV? This awesome smart HDTV would be a great choice! With true-to-life 4K Ultra HD picture quality and access to all the movies and TV shows you love, Toshiba Fire TV Edition delivers a superior TV experience that gets smarter every day. Get a great price – save $100! Get on over to Best Buy and check out the Toshiba 43” LED 2160p Smart 4K UHD TV with HDR – Fire TV Edition! Priced at just $199.99! Madden NFL 19 Only $9.00! Do you have a Madden fan who needs this game? I know I do. This is one of my son’s favorite video games! 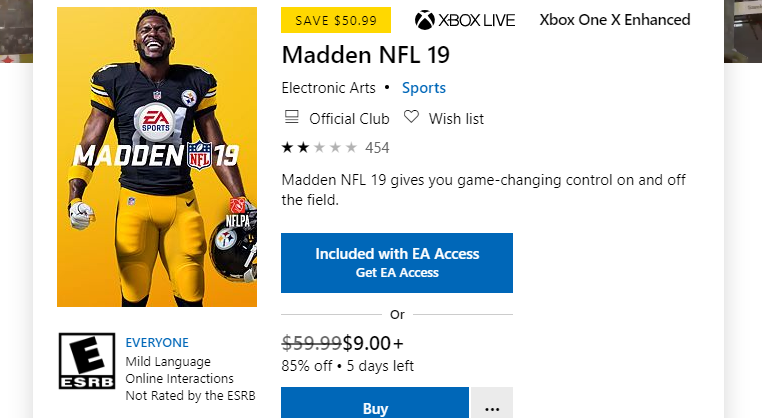 Get on over to Microsoft Store and get Madden NFL 19 Download for Xbox One for only $9.00! 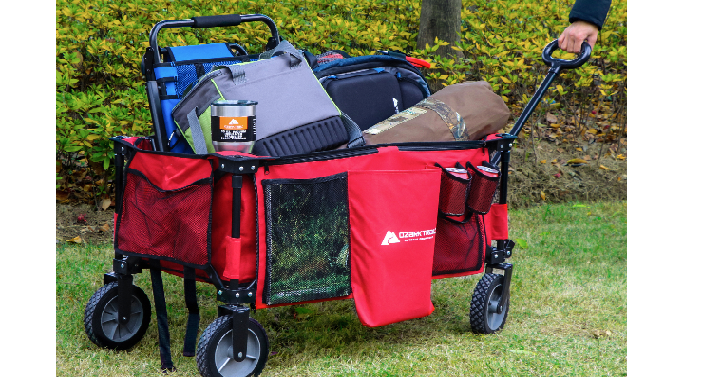 Ozark Trail Quad Folding Wagon with Telescoping Handle Only $44.88 Shipped! Get Ready for Summer! I see these around all of the time during the summer. Use them at kids sporting events, take them to amusement parks or on walks. I’ve even seen them at parades which is super helpful. Right now at Walmart, you can get the Ozark Trail Quad Folding Wagon with Telescoping Handle for only $44.88 Shipped! Grab it now before it sells out. 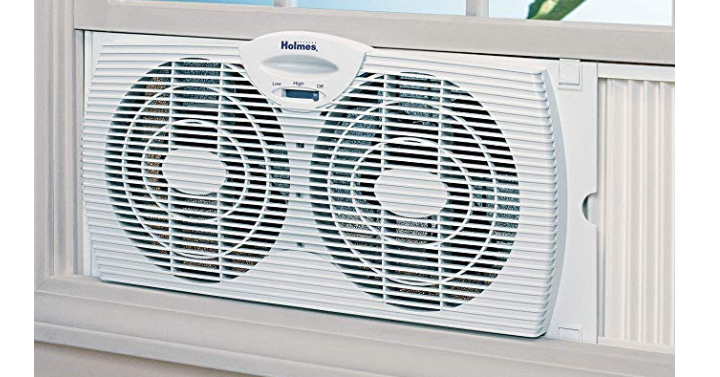 Holmes Window Fan with with Twin 6-Inch Reversible Airflow Blades Only $22.49! Great Reviews! Get ready for the heat with this fan! Amazon has the Holmes Window Fan with with Twin 6-Inch Reversible Airflow Blades for only $22.49! It has an adjustable extender screen and extender panel help secure fan in larger windows and is Ideal for large rooms up to 500 sq. ft. Keep in mind, Amazon pricing can change at any time! Don’t wait to purchase this deal or it might be gone when you come back! Nice! 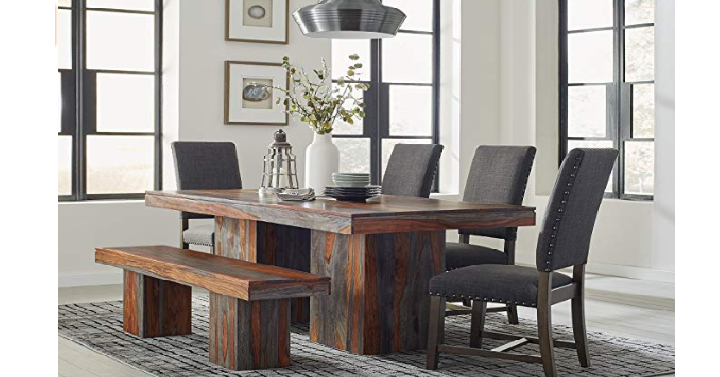 Amazon has the Binghamton Sheesham Dining Table for only $542 Shipped! (Reg. $912) Featuring a rectangular tabletop perfect for seating six, the table is crafted with gravitas and substance to create a true statement piece. Its thick top rests upon a pair of wide pillars for a look that’s grounded and earthy. Keep in mind, Amazon pricing can change at any time! Don’t wait to purchase this deal or it might be gone when you come back! 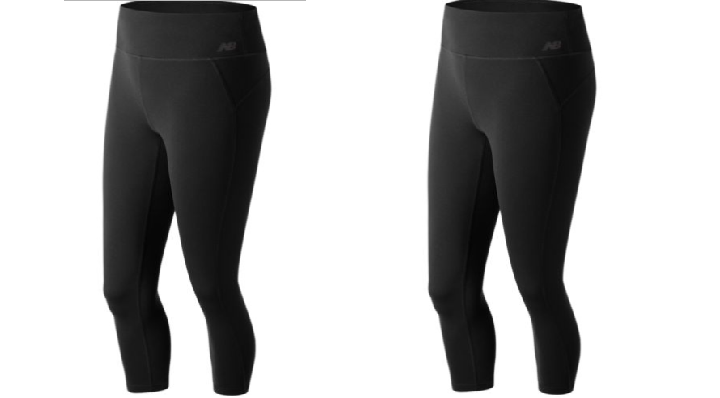 New Balance Women’s High Rise Transform Crop Only $21.99! (Reg. $80) Today Only! Today only, April 24th, Joe’s New Balance has the New Balance Women’s High Rise Transform Crop for only $21.99! (Reg. $80) Plus, you can use coupon code DOLLARSHIP to get shipping for only $1.00. Cut from stretchy, luxurious fabric in a cute cropped style, these women’s tights also feature NB Fresh technology to resist odors and NB Dry technology to help wick away sweat. Sonic Drive In: Medium Slushes for Only $0.79 ALL DAY LONG!! Today, April 24th Only! YUM! 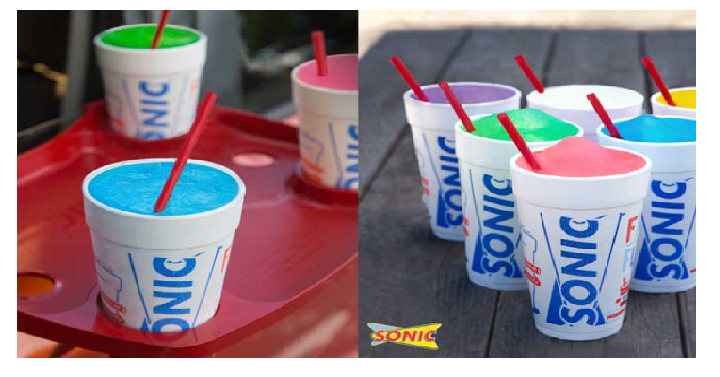 Today only, April 24th, Sonic Drive In has medium slushes for only $0.79 each all day long! You can even use their SONIC App and order ahead to skip the line. Offer includes Medium Single Flavor Slushes and Strawberry Real Fruit Slush. Excludes Candy Slushes, Frozen Lemonades and Limeades. You can find your location here. 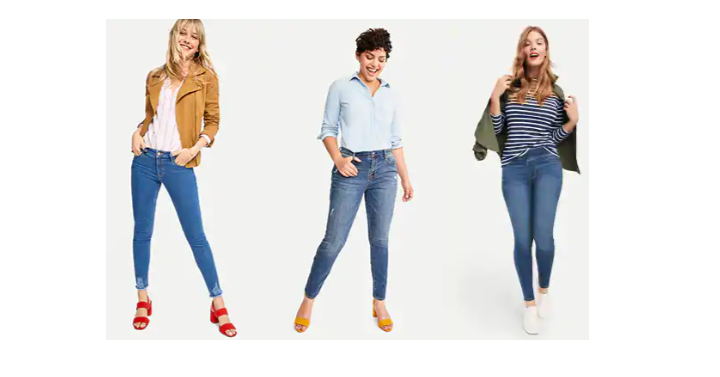 Old Navy: Buy 1, Get 1 FREE Jeans for the Whole Family! YAY! I love a good jean sale at Old Navy. Today only, April 24th, Old Navy has Buy 1, Get 1 FREE Jeans for the Whole Family! Just use coupon code DENIM at checkout. I’m seeing women’s jeans for $29, so that means you can get some for less than $15 each. Grab your sizes and styles now. Choose in-store pickup to save on shipping, or your order of $50 or more will ship for FREE. 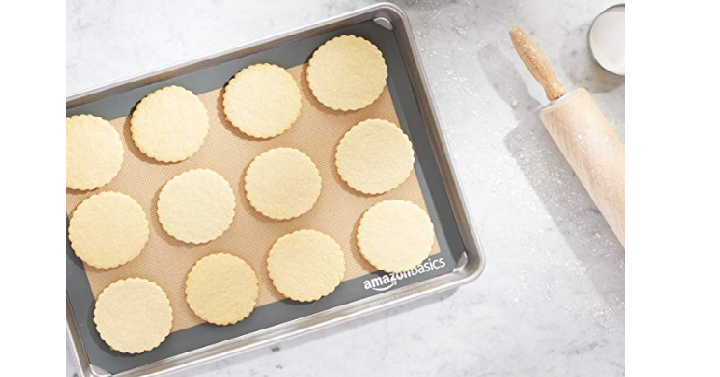 AmazonBasics Silicone Baking Mat – 2-Pack Only $8.38! These are super nice to have when you are baking and cooking. Amazon has their AmazonBasics Silicone Baking Mat – 2-Pack on sale for only $8.38! No need for oil, cooking sprays, or parchment paper. These are oven-safe up to 480 degrees F. Keep in mind, Amazon pricing can change at any time! Don’t wait to purchase this deal or it might be gone when you come back! 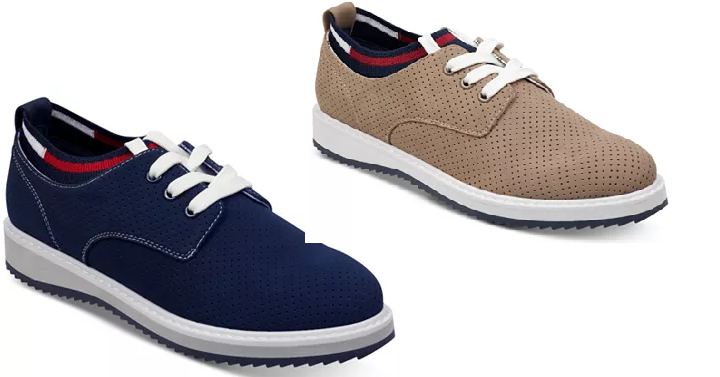 Macy’s has the Women’s Tommy Hilfiger Sinclar3 Lace-Up Oxfords for only $36.93! (Reg. $79) You can choose from these two fun colors. Tommy Hilfiger’s Sinclair3 oxfords lace up in sporty style with a platform heel for a street-savvy lift to your favorite looks. Grab your sizes now! Choose in-store pickup to save on shipping. Do you have rooms that need a little extra heat? We sure do! 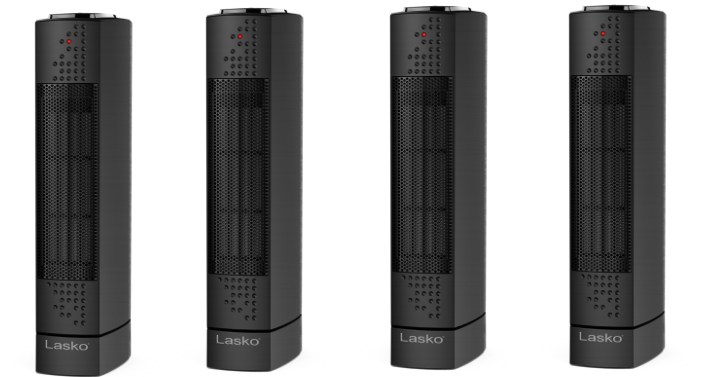 Walmart has the Lasko Ultra Slim Electric Tower Heater for only $16.29! (Reg. $35) It’s made of durable ceramic that remains cool to the touch, bringing safe comfort to your home. This Lasko electric heater delivers 1,500 watts of power and features a one-button control that automatically self-adjusts to save energy. Plus, choose in-store pickup to save on shipping. Have you guys tried these yet? 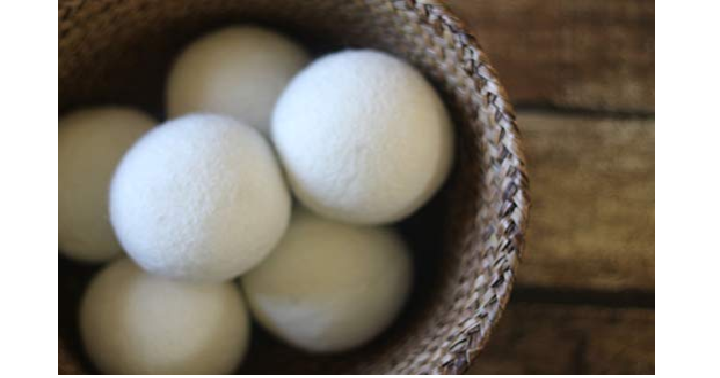 Amazon has the Wool Dryer Balls XL Premium Reusable Natural Fabric Softener (6 Pack) Only $9.83 when you use coupon code EARTHD42 at checkout! (Reg. $17) These have over 16,000 great reviews, so you know they have been tested. Keep in mind, Amazon pricing can change at any time! 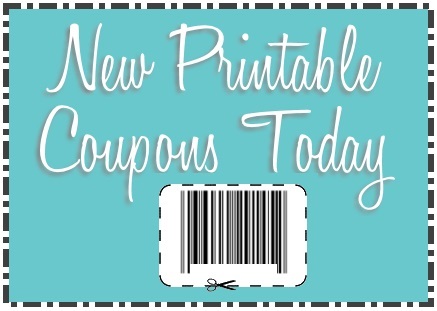 Don’t wait to purchase this deal or it might be gone when you come back!